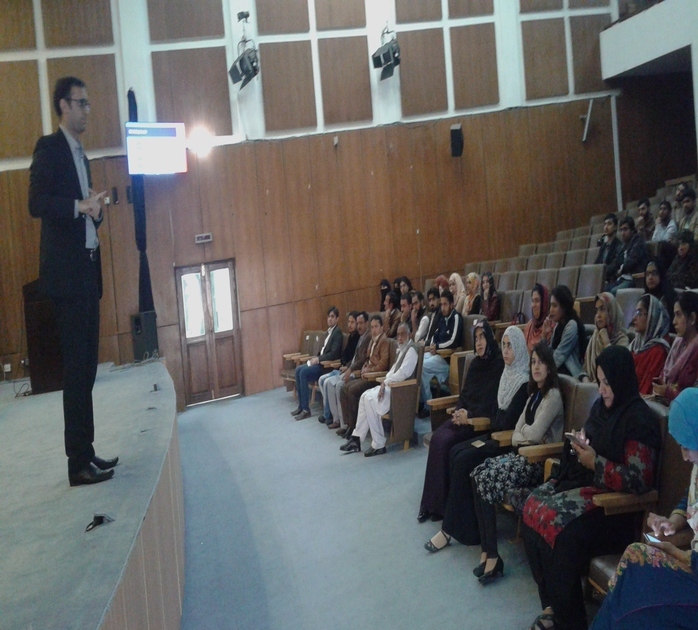 A One Day Bioawareness Workshop was conducted in Allama Iqbal Open University, Islamabad on 7 Nov 2018. Participants were given awareness about Biological Risk Mitigation, Beaking Method, Donning and Doffing of Lab Attire, and Waste Management. 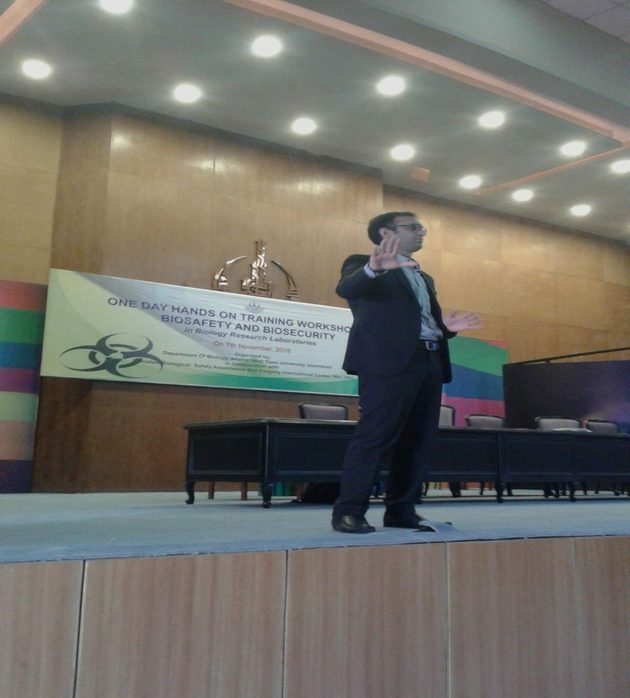 They were also given awareness about the importance of biosafety and biosecurity. This workshop was appreciated by participants. They hope to implement these findings in their institutions.